Speed of Life Blu-ray Review. But a series like this is all about the visuals, and in this regard Speed of Life doesn’t disappoint. Employing the latest innovations in high-speed photography, this 3-part Discovery Channel series aims to capture the functions of nature that occur outside the range of normal human perception. The lightning-fast attacks of predators and the frantic scurrying of their prey are herein rendered with equal aplomb, as is the ceaseless struggle for life which occurs as a matter of course all throughout nature. Spanning species and continents, much of the footage is breathtaking and the majesty of the natural world is rendered in spectacularly lush HD. 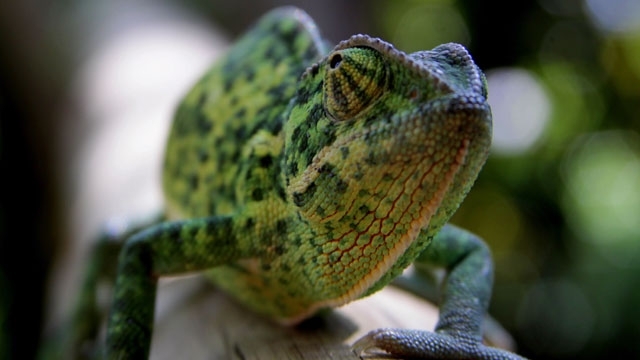 Particular standouts include close-ups of a hunting bald eagle in flight, a tussle between a praying mantis and his feisty love rival and a super slow-motion rendering of the culinary habits of a chameleon, all rendered at several thousand frames per second. The narration does tend to err on the side of the overtly melodramatic. ‘The hawk is hungry, and is craving some fresh meat,’ we are informed in Episode One, whilst in Episode Three the voiceover artist introduces one snake as ‘so deadly it has a bomb named after it, the sinister phantom of the dunes, the hellish killer known as - the sidewinder.’ But a series like this is all about the visuals, and in this regard Speed of Life doesn’t disappoint. 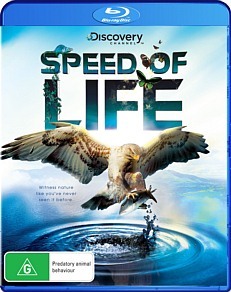 The Blu-ray and DVD editions are bare bones - a Making Of documentary would have been particularly interesting - but highly recommended for fans of David Attenborough’s Life series and for nature doco buffs in general.